Home Food Organic & Non-GMO Foods — Our Last Defense from Monsanto & Friends! Organic and Non-GMO Foods are Our Last Defense from Monsanto & Friends GMOs! Please make a commitment to eat only fresh, raw, organic or non-GMO whole foods. You’ll soon discover that it’s cheaper and healthier to eat organically when you consider all the real costs and consequences of a toxic diet filled of Monsanto & Friends GMOs. You see, GMO crops are genetically engineered specifically to survive many times the application of chemicals like Monsanto Roundup and glyphosate. Normal plants would just die from that much chemical exposure! Why do they do this? Because companies like Monsanto have been reaping huge profits from toxic chemicals and pesticides for well over 50 years! Think about it for a minute and you’ll realize this is their real business! So let’s actually think about it a little — Monsanto started in 1901 making saccharin, an artificial sweetener. Saccharin was very controversial so was banned in 1922. However, today it’s on store shelves all across America. In the 1960’s Monsanto produced Agent Orange, a defoliant used in the Vietnam War that contained a chemical called 2,4-D — perhaps even more toxic than Monsanto’s Roundup. Yet Monsanto is once again selling 2,4-D today because there are so many super-weeds resistant to Roundup (glyphosate). So why not, said Monsanto, turn this into another profit opportunity! In July, 1983, Monsanto funded some research called, “A Chronic Feeding Study of Glyphosate (Roundup) in Mice.” Monsanto went to great lengths back then to convince government regulators to accept scientific interpretations of the study that supported the use of glyphosate — though the study actually concluded that glyphosate is a carcinogen! The two-year study divided 400 mice into groups that were administered 3 doses of Roundup. One group got no glyphosate at all as a control group. Unfortunately for Monsanto, some mice exposed to glyphosate developed tumors at significant rates, with no tumors at all in control group. Documents for the litigation clearly show that Monsanto created fake data and attacked legitimate studies exposing the dangers of glyphosate. They actually created an intentional campaign of misinformation to convince government agencies, farmers and the general public that Roundup (glyphosate) was safe. 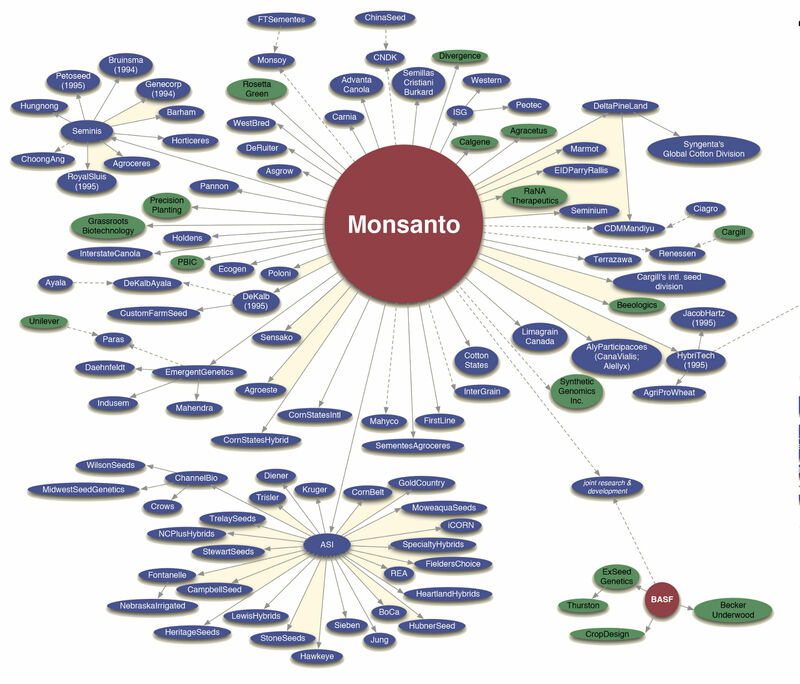 For a mega-corporation like Monsanto, lawsuits are just part of the “cost of doing business.” Personally, I believe that they plan ahead for them, even for decades. Sure, they put up a fight long as they can though they know the truth will eventually win out. But the outrageous profits — billions and billions of dollars — clearly offsets the potential cost of lawyers and settlements, so the corruption goes on undeterred. But the problems with GMO crops, Roundup and other chemicals goes well beyond Monsanto — ultimately affecting the environment of the whole planet. Designing crops resistant to toxic chemicals only does one thing — it sells more pesticides and herbicides. Some of Monsanto’s most profitable chemicals were originally chemical weapons in World War II. They are so profitable that they are STILL selling them, though not to the military … to our farmers. The 2,4-D that was part of Agent Orange in the Vietnam War has been linked to non-Hodgkin’s lymphoma, lowered sperm counts, liver disease, Parkinson’s disease and many other adverse effects. It’s also one of the largest sources of dioxins in our environment. Dioxins are highly toxic and build up in your body and the environment over time. The lack of any significant competition lets these companies build profits by reducing the earnings of farmers and workers in the food system. Thanks to this near-total control of the market, multinational corporations use the food system solely to maximize their profits — at the expense of people that eat their “food,” as well as farmers and the environment. Monsanto’s real purpose for inventing GMO’s was to increase sales of their highest profit items — the chemical fertilizers and pesticides GMO’s need to grow. But nature had something to say about this and created weeds resistant to Monsanto’s Roundup and glyphosate. So Monsanto just re-engineered their GMO crops so that they now withstand 3 times the levels of Roundup and glyphosate as they did before…which clearly is only a temporary fix. Soon they’ll need to be six times more resistant to chemicals, and then — who knows! The seeds that farmers depend on evolved over eons. They’re an integral part of human culture not just a recent science experiment. From the myths of ancient civilizations to the growth of human consciousness, seeds are an important part of human history. But Monsanto & Friends are doing everything they can to force GMOs down our throats! This threatens both our food security and the future of real food. GMOs are destroying the genetic diversity of the whole world’s food supply. They destroy non-GMO and organic farms through genetic drift of their DNA. They destroy healthy, nutrient-rich soil, which, is no longer filled with the living organisms healthy plants need. This also creates new super weeds that cannot be killed easily, resulting in even more Roundup (glyphosate) being sprayed. This has gotten so out of hand that it can actually be more profitable today to become an organic farmer instead of a Monsanto zombie. GMO crops were supposed to save the farmer with higher yields, but that’s not how things turned out! Instead, it’s the non-GMO and organic crops that will save the farmer in America! As GMO’s slowly destroy most of our food-delivery system, it will eventually have long term consequences for all life on our planet. Meanwhile, Monsanto & Friends will be using every trick in the book to fool you — and the rest of the world — into believing their short-term, heavily biased studies and outright lies. Monsanto has been using a variety of techniques to control ALL the GMO research, even that which looks independent. Through a variety of techniques they make sure that any contrary research never gets any funding. Meanwhile, research and scientists that agree with GMO technologies get all the money. It’s actually complete control, even if indirect. Clinical trials on GMO’s just aren’t published when they are negative. This “publication bias” has long plagued science long even before the debate on GMO’s, but it even more endemic with GMO research. Government funding for science is highly competitive. University researchers are under a lot of pressure to “publish or perish.” University tenure, promotions, opportunities for research funding — they all depend on the papers published, the journal doing the publishing, and the reception the paper receives. This often results in questionable methods, especially of any of funding is tied to industry sources like Monsanto, wither directly or indirectly. John Ioannidis’s from Stanford University examined all the reasons that so many journal articles turn out to be inaccurate (“Why Most Research Findings are False,” 2005), including flaws in the research, researcher’s desire for meaningful findings and a desire for professional advancement.This inevitably leads to a bias in interpreting the data as well as financial conflicts. 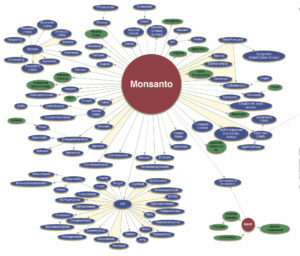 Policies towards Monsanto & Friends and “merger mania” in the food industry has resulted in Monsanto, DuPont, Syngenta, Bayer and Dow owning most of the major seed companies that were once competitors. Monsanto & Friends wants everyone to think that GMO’s are safe, healthy and good for the environment. But the real truth is just the opposite. Monsanto & Friends that genetically engineer crops have a virtual lock on what we can learn know about their safety and benefits. So now we actually still don’t have the complete picture — and that’s no accident. 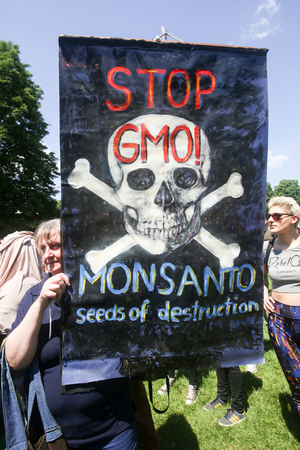 Monsanto & Friends intentionally restricted independent research on GMO’s in a variety of ways, from refusing to provide GMO seeds to independent researchers to setting extremely restrictive conditions that strangle research options. This is a Direct Attack Our Fundamental Rights & Freedoms! While buying organic, healthy food is important, personal choices about what you eat won’t fix all these problems with an industry that’s been hijacked by lobbyists and agribusiness corporations that make a concerted, coordinated effort to drive out independent farmers and food processors. The result of this Foodopoly is economic stagnation in rural communities to actual famines in some countries. Solving this crisis will require a major structural shift in the economic, political and scientific communities. Conveniently, under our legal system, GMO’s are patentable inventions. Monsanto & Friends have almost total broad power over how their patented products can be used, including who can study it and how. So if an experiment might reveal that a GMO crop is hazardous or doesn’t perform as promised Monsanto just doesn’t have to fund it. And they don’t! So either directly or indirectly, both public sector and independent private research on GMO’s has been systematically blocked! In 2009, 26 university entomologists (insect scientists) wrote the EPA saying, “No truly independent research can be legally conducted on many critical questions involving these crops.” The industry is completely driving the bus,” one researcher commented. Patent law is just one way for the industry to “drive the bus.” Monsanto & Friends directly fund most of the other research in the U.S. The Dept. of Agriculture and other Federal agencies actually don’t even do their own research at all, relying mostly on studies submitted by the companies themselves. Duh?! The industry has been making a big deal out of a few positive steps they taken for better research — but the deals they make are not binding so the companies can back out of them at any time. These deals are also not available for the public to see. And many legitimate scientists will never be part of these voluntary agreements if their research might look bad for GMO’s. Monsanto, for example, had an agreement with the USDA to research crop production practices — but conveniently the deal didn’t include anything on the health issues of GMO’s. This is not how science should work! Contrary to what you may hear in the media, GMOs were never about feeding the world. They are about profits – plain and simple! And ultimately, about corporate control of our entire food delivery system. Most of the GMO corn and GMO soy in America are will neither feed the world nor address anyone’s nutritional needs. What they really do is provide cheap food for factory farms and the processed food industry. Meanwhile they devastate the environment and leave farmers hooked on dangerous chemicals like glyphosate. The companies that produce GMO seeds claim that they’re safe and better than traditional crops. If that’s actually TRUE, let Monsanto & Friends support legitimate research of all independent or university scientists.